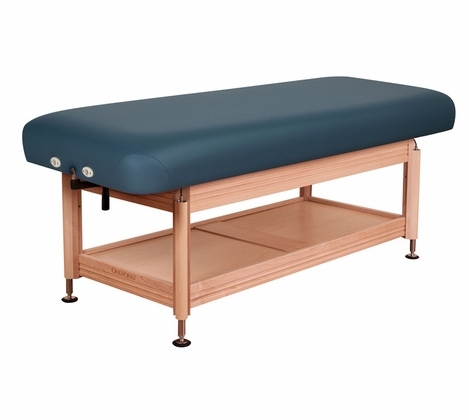 Sometimes options and versatility is what you need when it comes to an affordable, quality massage table. 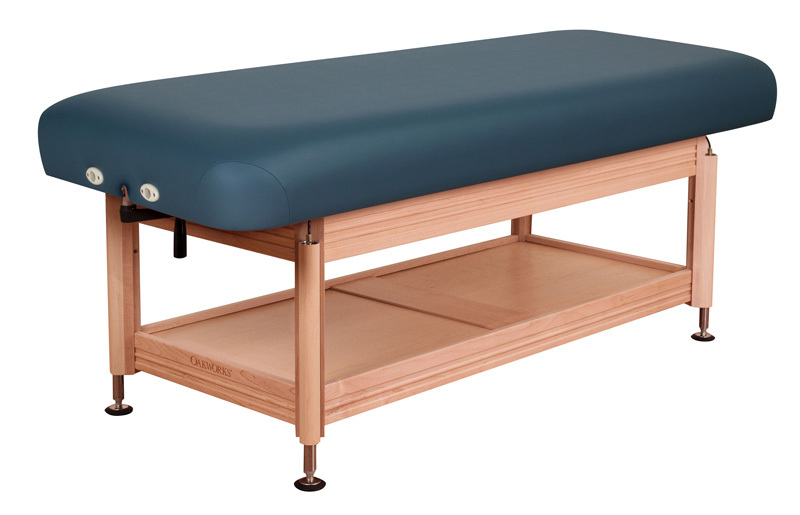 Oakworks Clinician Hydraulic Lift Table from Massage Tools gives practitioners just that. If electricity is a problem, then this table is the answer. It can make quick, quiet height adjustments without disturbing patients or clients. You can either use the hydraulic lift option that utilizes a manual crank or the electric motor. The crank works well in room situations where reaching an electric outlet is difficult or will cause a tripping hazard. In other rooms where outlet use is ideal, fold away the crank and engage the motorized system that allows you to raise and lower table height by simply engaging the foot pedal. An open shelf underneath lets you keep oils, lotions and hot towel steamers close at hand. Client comfort is of the utmost importance and the Clinician Hydraulic Lift Table delivers there too. Comfort, affordable with built-in options; what more could you ask for? � Adjustable height range 24"-36"